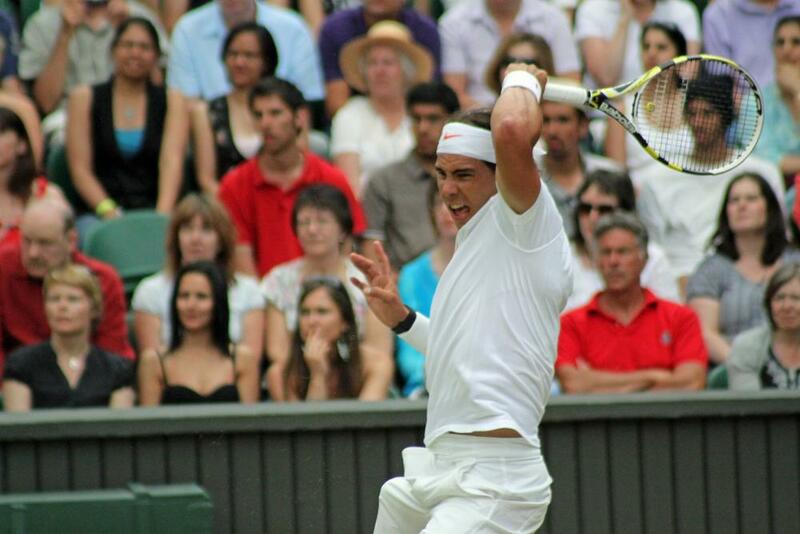 There are few sporting events as quintessentially British as The Championships, Wimbledon. 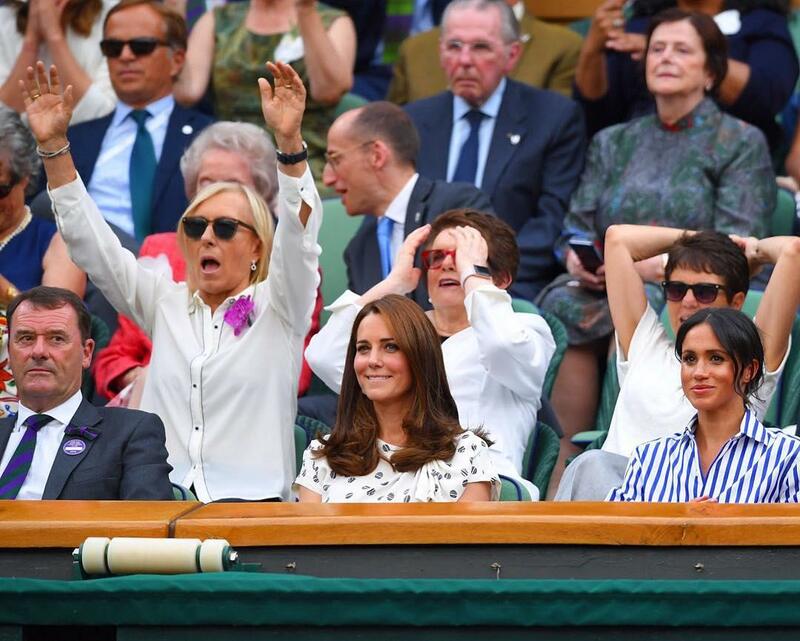 Where else can you see the Duke of Cornwall sipping Pimm’s next to Jude Law, as Anna Wintour shares her strawberries with David Beckham, all whilst watching a Swiss man, head-to-toe in white, floating a graceful backhand down the line? Meanwhile, the brooding summer clouds on the horizon look ever so worrying (wouldn’t it just be awful to have your newly pressed linen suit flecked by specks of rain?). 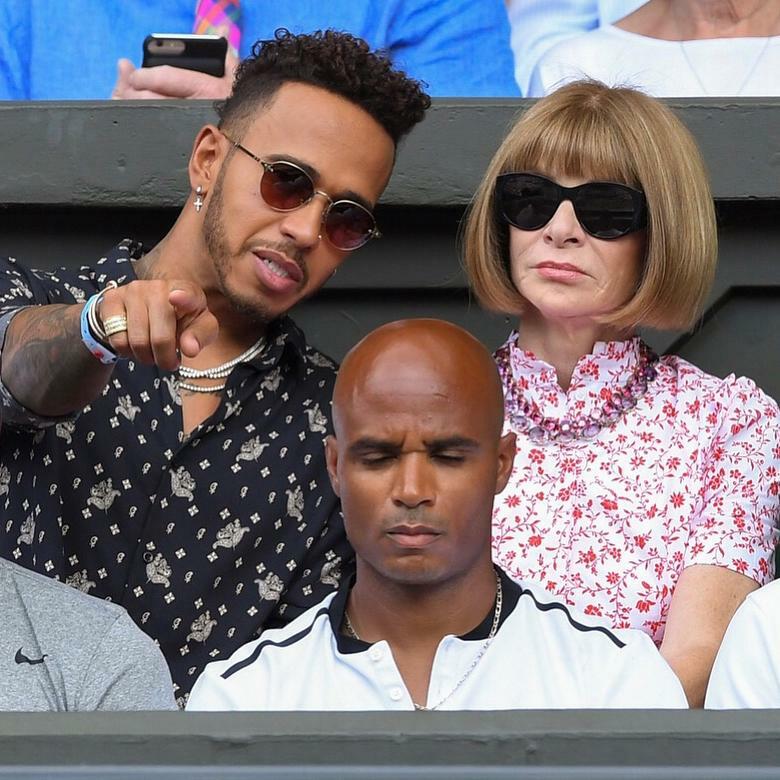 Founded in 1877 The Championships, Wimbledon is firmly ingrained in the nation's consciousness as the definitive call to summer, when Londoners spill onto the streets and the city takes on an entirely different hue. 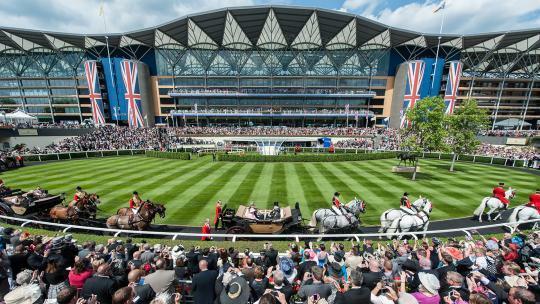 Attracting countless viewers across 200 nations, and welcoming half a million spectators through the gates at SW19, some strike lucky in the annual ballot and get tickets for the show courts; others queue for hours to get Grounds passes. Luckily for those who simply cannot fathom a summer without Wimbledon, there is one sure way to get as close to the action as possible. 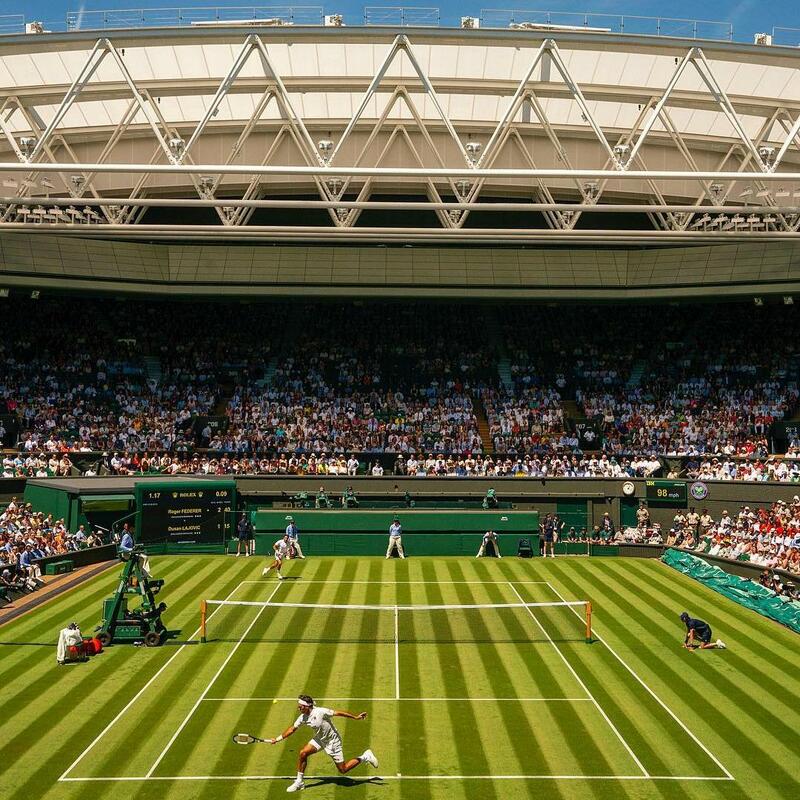 Match seats on Centre Court or No.1 Court on days of your choice, including Finals Day. Exclusive access to premium facilities including fine-dining and a flowing champagne and cocktail bar. Award-winning service and dedicated front of house team. Luxury surroundings away from the crowds allowing you entertain your guests without distractions. Guaranteed tennis whatever the weather, thanks to the new roof on No.1 Court. All included within the price of your ticket. Advantage, set point. The informal atmosphere of The Lawn is where all the summer schmoozing happens. 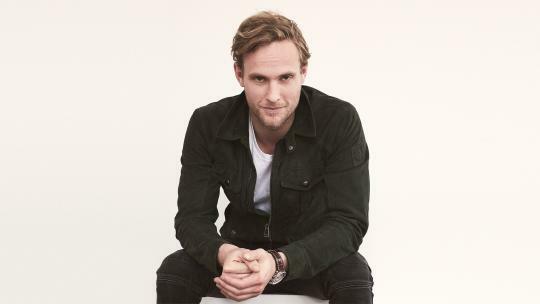 Taking the theme of an English garden, a complimentary bar and live musicians will be arranged for summer fête vibes and you may even rub shoulders with tennis greats like Pat Rafter at The Players' Tables. Settle at private tables (or indeed a private dining room) for two to 14 guests and enjoy a three-course à la carte menu designed by the esteemed Roux family; strawberries and cream and traditional Wimbledon afternoon tea including a selection of cakes, scones and pastries, as well as champagne, wine and spirits from the bar. There is also a handsome whisky and cigar bar and once play commences on court, the action is just a short walk or buggy ride away. Trust us, it's a world away from shuffling for space on Henman Hill. 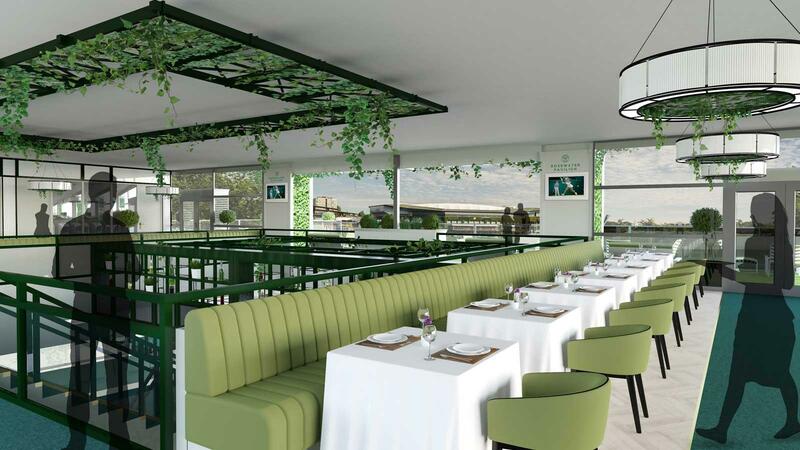 Rosewater Pavilion is a new addition to Wimbledon's exclusive hospitality facilities. 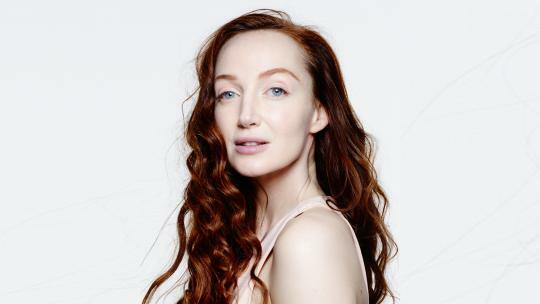 Once inside, every wish is catered for, from relaxed, informal lounges to private areas with fine dining and flowing champagne, or even afternoon tea on the terrace, so you can set the pace of your day. There is a two-tiered balcony with views towards Centre Court. 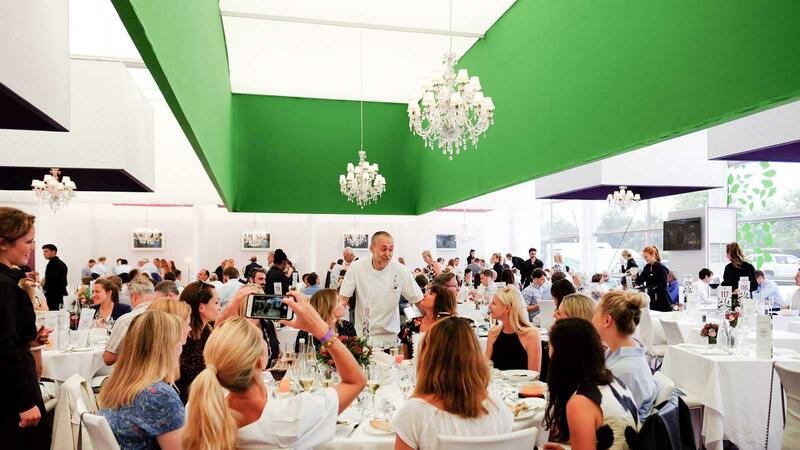 British-inspired menus will be presented by the award-winning chefs and once again, exclusive concierge service is at hand to ensure any request is dealt with swiftly, allowing you to focus your full attention on the tennis and your guests. Raise the bar - or should that be net? - yet again and go for supreme Skyview Suites in Centre Court. 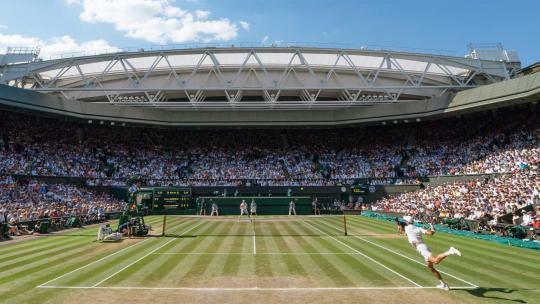 Unrivalled in the hospitality industry, and an experience unlike any other at a major sporting event, the suites are located in Centre Court, high above the throng of the crowds. With delectable delicacies available at any time, vintage champagnes and mixologist-made drinks and personal escorts to your seats in Centre Court, it's Wimbledon - but not as you know it. With the ball on your side of the court, where do you place your next shot?